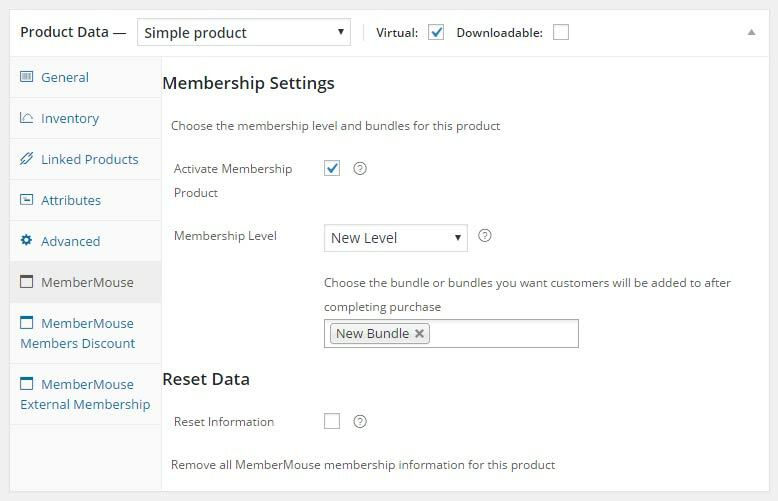 Seamlessly sell MemberMouse membership levels and bundles through the WooCommerce platform in 1 simple click & increase your overall sales and revenues significantly! Register / upgrade members to the relevant membership level and bundles (if any bundles were defined) according to their status (new / existing member) when purchasing the integrated WooCommerce product/s. 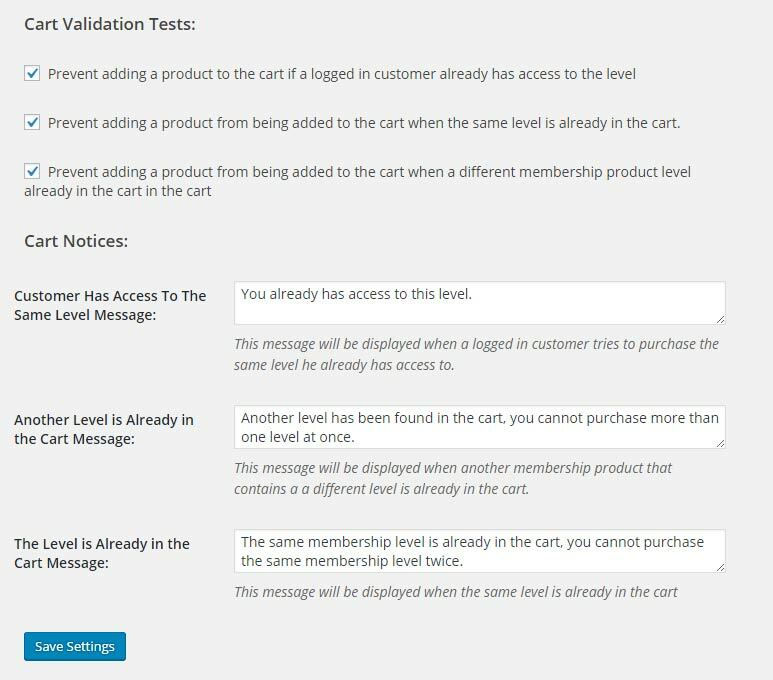 Prevent members from purchasing the same membership level twice and display a notification when trying to do so in the following scenarios: member already has access to the level/ another level or the same level is already in cart. You can easily keep track of all your membership products from the advanced summary table, including: the product’s name, status, level, bundles, membership site’s URL and more advanced options. 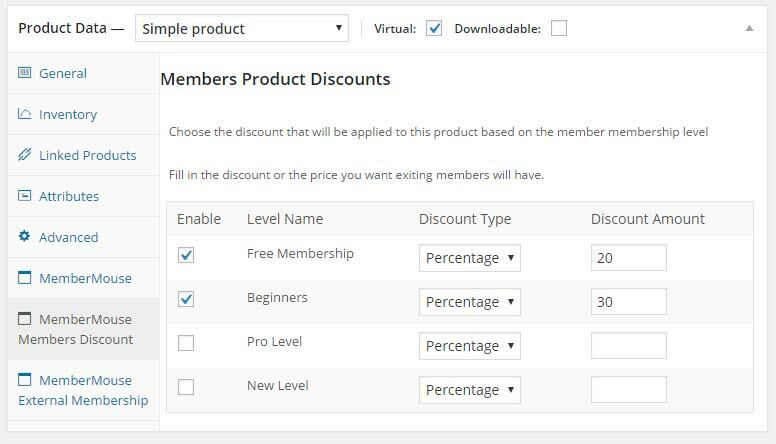 You can set discounts to existing members based on their membership level. These discounts are unique to members, so regular customers will pay the regular price of the product, while members will be able to enjoy special discounts. 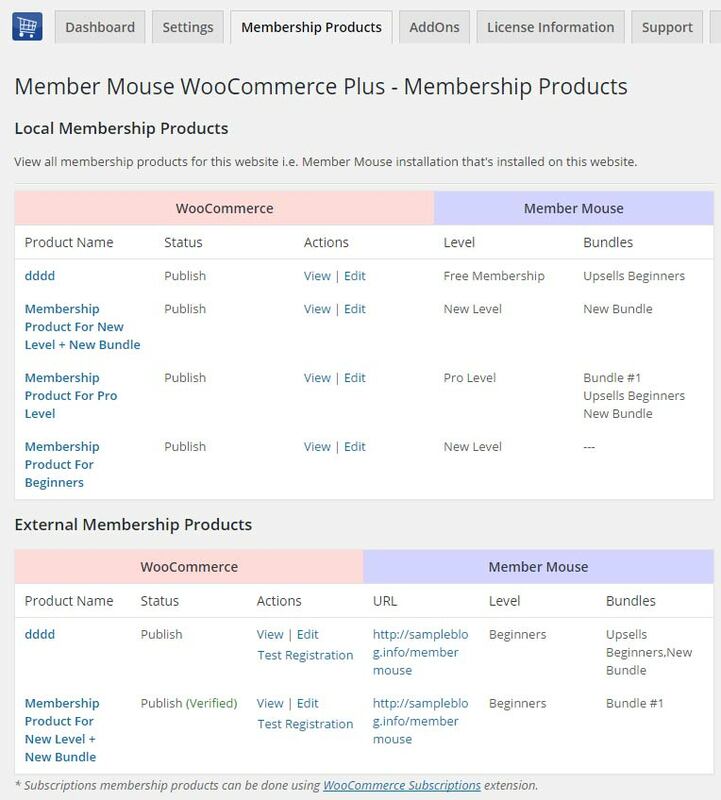 We added different actions and filters to allow you to extend and enhance the MemberMouse WooCommerce Plus plugin even more according to your specific requirements and needs. Integrate MemberMouse & WooCommerce Quickly & Easily Now! Using the External Membership Sites Add-Ons Bundle you can register members to ANY external MemberMouse membership site, so a customer who purchases a product through your store is also automatically registered to the membership site. Using this unique feature you can even sell memberships to multiple membership sites at the same time as customers can add multiple products to the cart. Integrate MemberMouse & WooCommerce in 1-Click! And increase your overall sales and revenues significantly! These products can be physical products, digital goods, downloadable products, software and basically any type of product that can be sold through the WooCommerce platform. Benefit from the traffic you already have to your WooCommerce website and sell memberships to any other website you want! More than a hundred payment gateways, better statistic information, hundreds of WooCommerce extensions, a lot more integration options etc. All these options will allow you to maximize your sales and also your revenues. The discounts are unique to members, so regular customers will pay the regular price of the product you chose to apply discounts to, while members will be able to enjoy special discounts. Q.What version of WooCommerce plugin I need in order the plugin? Q.What version of MemberMouse plugin I need in order the plugin? Q.Can I use only the add-ons bundle without MemberMouse WooCommerce Plus? Q.If my WooCommerce Store and MemberMouse are installed on the exact same domain, will I need to purchase the “External Membership Sites Add-Ons Bundle”? Q.If my WooCommerce store and MemberMouse membership site are located on different domains / sub-domains or files, will I still need to purchase the External Membership Sites Add-Ons Bundle? Q.It sounds complicated to operate the plugin and add-ons to work with an external membership site, where can I find more information on how to integrate it exactly? Q.Does the plugin have any conflicts with other plugins? Q.Does the plugin integrate with every membership site platform? Q.I have more questions and I haven’t found my answers, how can I contact you? Integrate MemberMouse & WooCommerce and Maximize Your Revenues!